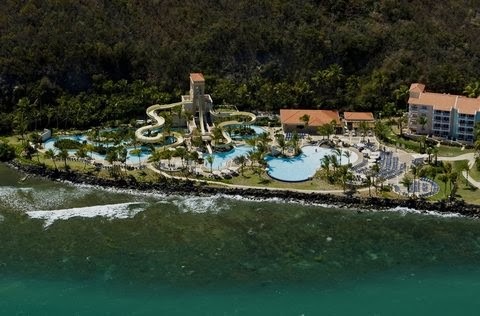 Las Casitas Village, located in lovely Las Croabas, Puerto Rico, welcomes guests with luxury alongside Exclusive Complimentary Perks when booking your stay across WhataHotel!. This resort features cottages in shades of pastels nestled on a grassy hillside overlooking the ocean. Whether you long for a vacation that includes rest and relaxation or one presenting a bit more excitement, filled with water sports and adventure, Puerto Rico can fulfill your travel needs. A visit to the beautiful Las Casitas Village will cater to all of your whims, from low-key to pulse-pounding, in a very chic way. 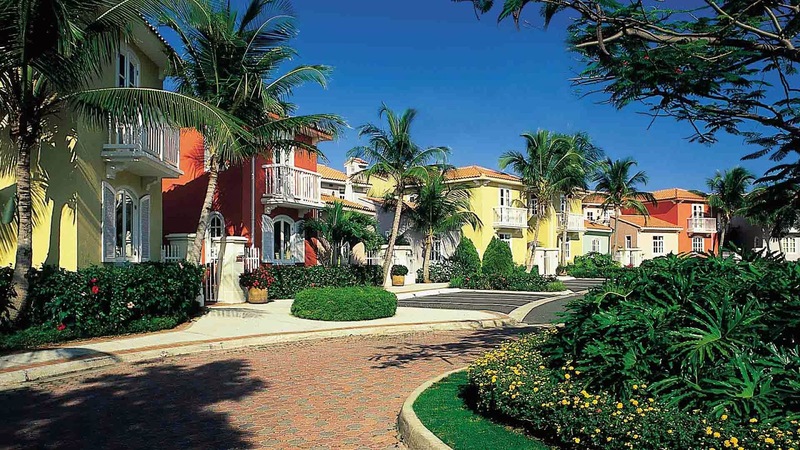 Las Casitas Village is a quaint resort with loads of amazing amenities that are sure to impress each and every guest. From the personal 24-hour butler service to the exciting options of activities that include horseback riding, wind surfing and diving, this resort has it all. Hit the links at the nearby majestic Arthur Hills Caribbean Golf Course or book a treatment at the awe-inspiring resort spa. The fun doesn't stop there, Coqui Water Park is the on property seaside park offering guests a watery playground that also features the Oasis Bar and Grill and nightly live music. When hunger strikes guests can savor not just Caribbean flavor but also many multi-regional tastes in the 20 fabulous international restaurants. Las Casitas Village ensures that whatever you're craving for dinner they can serve it up on a pretty platter. Puerto Rico is known for its beautiful weather, but this lovely resort has created an interior that captivates just as mush as the outside. Guests can stay in one of the 157 Casitas (cottages) ranging from one bedroom to three bedroom, all with stylish tropical decor, modern amenities and breathtaking views. Whether you plan to stay with Las Casitas Village for business or leisure, this resort is sure to please. When booking your travel across WhataHotel!, guests can revel in Exclusive Complimentary Perks for an unbeatable deal. These perks include available upgrades at check-in, a buffet breakfast for 2, access to Waldorf Astoria Spa's fitness and wellness center for two daily, a $75 resort credit per villa each day and options for early check-in and late check-out. Warm sunshine, ocean breezes and impeccable service awaits you at the charming Las Casitas Village. For the trip of a lifetime in picturesque Puerto Rico, look no further than this award-winning resort.